Uh, Usher? We've gotta talk. On Tuesday morning, Usher premiered his new single, "She Came to Give It to You," featuring rapper Nicki Minaj, and it's a total disaster. Produced by Pharrell Williams, "She Came to Give It to You" is a funky, up-tempo club track with a similar sound to Robin Thicke's "Blurred Lines" — but unfortunately, that's not all the two songs have in common. Much like "Blurred Lines'" icky "I know you want it" refrain (and, you know, that whole disgustingly misogynistic music video fiasco), the entire concept behind "She Came to Give It to You" is problematic. It's almost as if Usher is mentoring another man, essentially telling him, "See that woman over there? She thinks she's just here to dance and have a good time, but she's wrong. She doesn't know it yet, but by the end of the night, she's going to give it to you — if you play your cards right." Again, just like "Blurred Lines," "She Came to Give It to You" has a fun, bouncy vibe, but nothing can distract you from the song's predatory, "rapey" lyrics once you've really heard them. I guess Pharrell, who co-wrote and produced "Blurred Lines," hasn't quite learned his lesson yet. About halfway through, Minaj stops by and delivers a decent verse, but eh, I was kind of beyond caring about the track by that point. 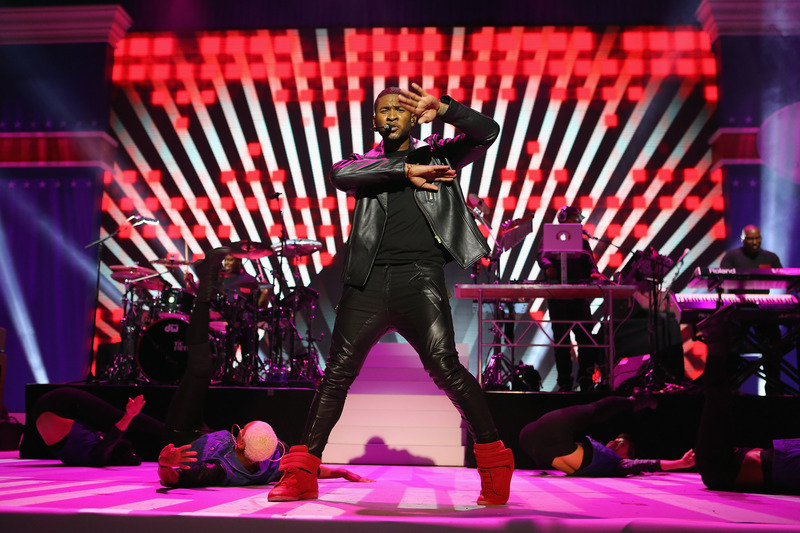 Reportedly, "She Came to Give It to You" is the official second single from Usher's upcoming eighth studio album. I wasn't a big fan of lead single, "Good Kisser," either (which was just released in May), but at least it got a killer remix from U.K. dance duo Disclosure. Honestly, you'd be much better off listening to that than "She Came to Give It to You," but if you're really curious about the new song, you can check it out via Complex below.